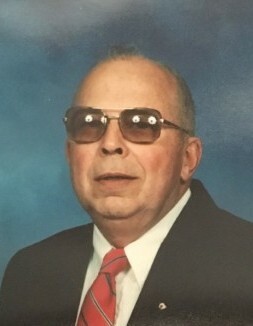 Jason Theodore “J.T.” Kepley, 88, of Salisbury passed away Thursday, August 16, 2018 at the NC State Veteran’s Home. Born on March 30, 1930, he was the son of the late Virginia Hall and Henderson Kepley. J.T. attended J.F. Hurley and Cleveland School. He was a veteran of the US Army, serving in the 79th AAA Gun Brigade for 3 years. He worked as a foreman with W.A. Brown Refrigeration, retiring after 35 years. He was a lifelong member of St. Matthew’s Episcopal Church, where he served as a Junior and Senior Warden on the vestry a number of times. He was also a member of Kennedy Hall American Legion Post 106 where he was a past commander and Andrew Jackson Masonic Lodge #576 where he received his 50 year veteran’s emblem in December 2002. J.T. was also a member of the Charlotte Oasis Shrine Club, VFW Post #3006, and Scottish Rite Bodies of Charlotte. In addition to his parents, he was preceded in death by brothers, Bennie and Brian Kepley; sisters, Joyce Kepley and Delores Nakoff. Those left to cherish his memory are his wife, Louise Graham Kepley, whom he married on November 15, 1953; sons, Teddy Kepley, Darrell Kepley and Jeffrey Kepley (Susan), all of Salisbury; daughter, Rebecca Kepley-Lee (Scott) of Salisbury; brothers, Darius Kepley (Geraldine) of Winnabow, NC, David Kepley (Kay) of Arizona, Jacob Kepley (Regina) of Salisbury; grandchildren, Erin, Jason (Stacy), Mike (Laura), Brian (Mary Linn Norvell), Robert (Jennifer) and Diana Kepley, Mason, Benjamin and Katelyn Lee; great-grandchildren, Jason Kepley, Jr., Alex Hampton (Joe), Megan Kepley, Harrison Kepley, Penelope Kepley, Niko Shanks and Nathaniel Willets. Visitation: 1:00-2:30 PM Monday, August 20, 2018 at St. Matthew’s Episcopal Church Fellowship Hall, 4401 Statesville Blvd, Salisbury, NC 28147. Service: 3:00 PM Monday at St. Matthew’s Episcopal Church with the Rev. Carroll Robinson officiating. Masons will be seated in a group at the service. Burial will follow in the church cemetery with military rites conducted by the Lyerly Volunteer Honor Guard. Memorials may be made to St. Matthew’s Episcopal Church, 4401 Statesville Blvd., Salisbury, NC 28147. The family would like to thank the staff of the NC State Veteran’s Home for their love and care.